The New York Subway can be a pretty frightening place, and even celebrities are not immune to crime on the subway. 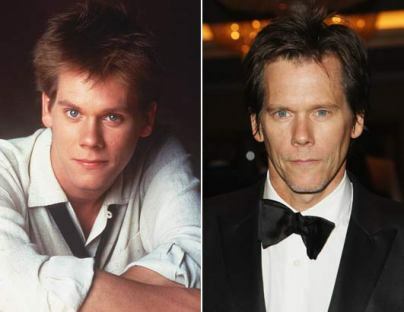 Kevin Bacon’s BlackBerry was stolen from him at a Seventh Avenue subway station on Thursday. The thief made off with it and Bacon quickly chased after him. The robbery took place at 10:50 a.m. on Thursday at the B, D, and E station at 53rd Street and Seventh Avenue, according to sources. Bacon tried to give chase, but lost the thief through the crowd of people. He notified police, but did not tell any subway personnel about the crime. His spokesperson refused to confirm whose numbers were on the phone. Another New Yorker (and Footloose star) Sarah Jessica Parker is concerned for the safety of the woman carrying her and husband Matthew Broderick’s twin girls. Although Sarah Jessica applauds her surrogate for making “an incredibly generous and gracious choice,” she and hubby Matthew Broderick are concerned over the media attention surrounding the adoption. “On a daily basis, on an hourly basis, I am greatly concerned for her health and safety and the safe delivery of our children,” Parker tells Access Hollywood in an interview set to air May 26. Since announcing her plans to adopt just last month, Sarah Jessica claims that the surrogate mother, along with the woman’s friends and family, have become the center of threats and harassment by the tabloids. “Obviously there are those that don’t care about her, or her health, or safety, or my children’s health and safety, and that they should go to term and not go into an early labor and, God forbid, suffer all the things that can happen – that is a real possibly,” Parker tells Access. 50 queries in 0.650 seconds.